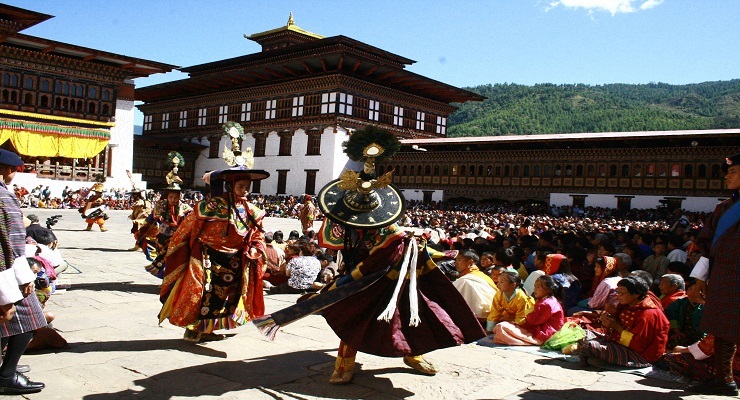 Bhutan Cultural Tour-7 days is suitable for you if you have a week long holiday for Bhutan. If you just have short holiday, then also it would be suitable for you. 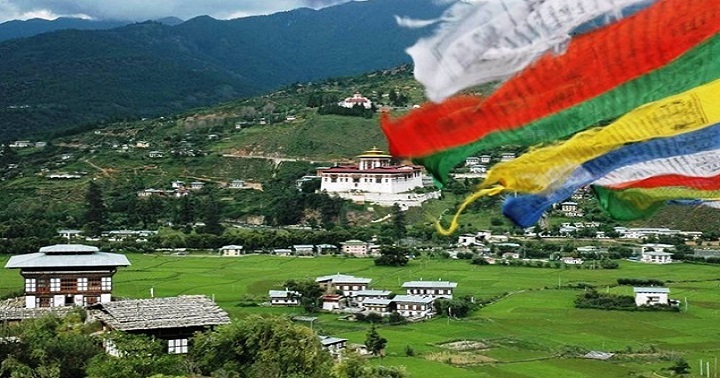 If you are entering Bhutan overland through Darjeeling/Sikkim (India), would be an excellent trip in Bhutan for you with which you will experience little more cultural aspects of Bhutan with visit to more places of it. The flight to Paro crosses the Himalayan Mountains, offering spectacular views of the awesome peaks, including the sacred Jumolhari and Jichu Drake peaks in Bhutan. On arrival you will be greeted by the guide and transfer to the hotel. After lunch transfer to Thimphu where you will get the choice to visit Memorial Chorten, National Textile Museum, Folk Heritage Museum, and National Library. 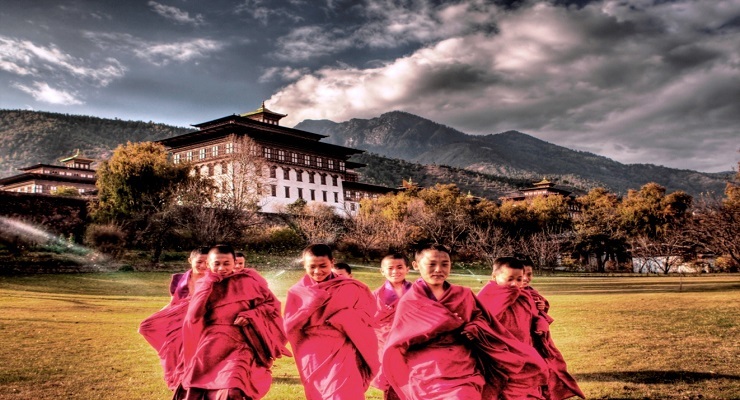 In the morning, you will spend some time in exploring the typical Wangduephodrang town. The nearby villages are known for their slate and stone carvings. You will then drive to Gangtey through dense forests of oak trees and rhododendrons. Gangtey is a beautiful place surrounded by snowcapped mountains in the distance with a landscape of rolling hills and green meadows. After breakfast this morning, enjoy the scenic drive to Punakha with a stop for tea at Dochu La (3,100 meters), where on a clear day you can get spectacular views of the Himalayas. From the pass, drive downhill through the forests of rhododendron, fir and hemlock. 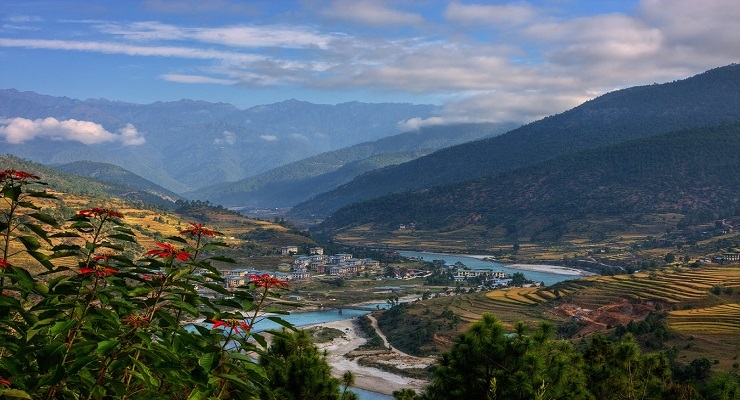 You will arrive at Punakha after traversing through rice field and along the bank of Punakha River. 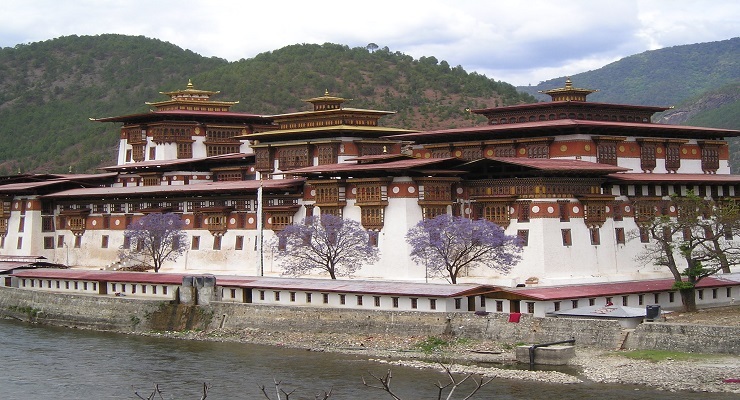 Punakha, a former capital of Bhutan, is located in the west of the country. 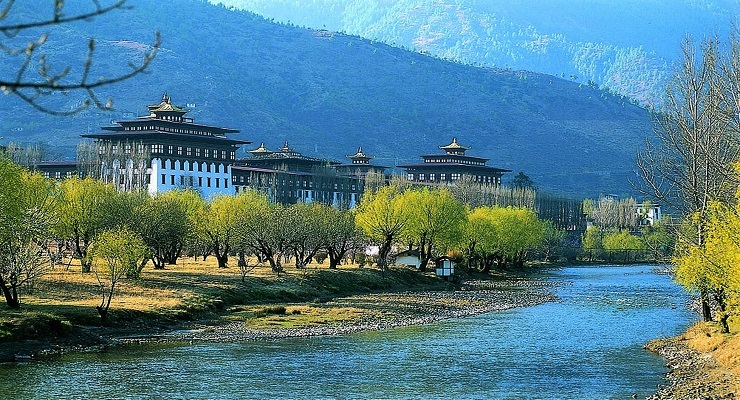 Punakha was the capital of Bhutan until the 1960's, and still retains the serene atmosphere of a place with a regal past. The dzong is the main attraction, but there are also other sites of interest in and around this pleasant little town. 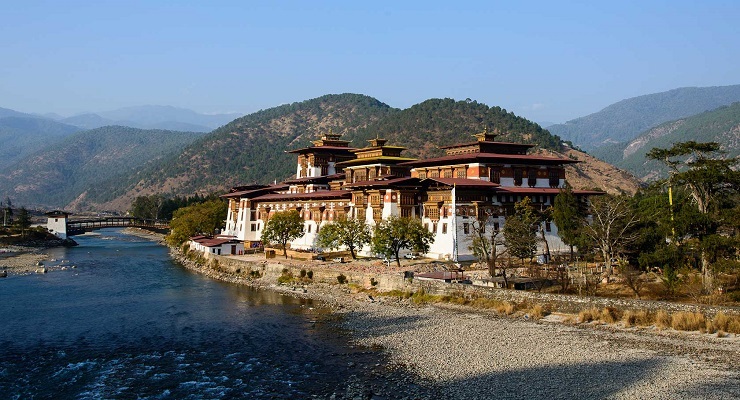 Along with Paro and Jakar, Punakha completes the triangle of most popular tourist destinations. Paro is a historic town with many sacred sites and historical buildings scattered through the area. In addition, the Paro Valley is wide and verdant and is recognized a one of the most beautiful in all Bhutan. However, apart from the main street (which is constructed of traditional wooden structures), the bazaar area is a nondescript hodgepodge of concrete buildings that is totally bereft of charm and character.